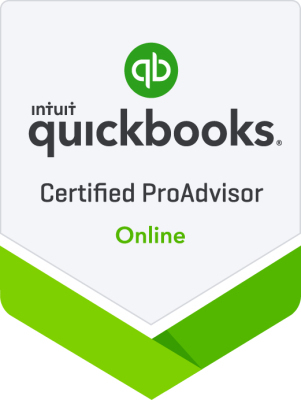 I am a QuickBooks Certified ProAdvisor and a long-time user of QuickBooks. ​​I have been using QuickBooks since 2004 and have seen it evolve into a powerful set of bookkeeping solutions that include payroll, inventory control, job-costing, marketing tools, merchant and bill-paying services, and retail management​. ​​I am a C​​ertified ProAdvisor in the Desktop, Enterprise, Point of Sale, and Online versions of QuickBooks. Customizing QB dashboards and reports to facilitate management review. ​QB file clean-up and archiving to speed up processing. Selection of the version of QuickBooks and add-ins that fit your business needs and objectives. Ongoing user training to streamline and optimize workflows. Other training and assistance as needed. QuickBooks Desktop is the version most small businesses use. It is installed on a host computer, and the file can be accessed by other users in the network. The company file should be backed up regularly. Desktop has many features and workflows that are upgraded and refined each year, and most small businesses can find a version that meets their needs. Payroll can be added to all versions of desktop for a monthly fee ranging from $17 to $57. Desktop is available for MS Windows and Mac, but the features available in the Mac version are limited compared to the Windows versions. Desktop for Windows comes in three versions - Pro, Premier, and Enterprise, with additional features and capabilities added as you step up to the next version. Premier and Enterprise have industry-specific capabilities and reporting. List price for a single-user Pro license is $250, with discounts available for upgrading from an earlier version. The list price for Premier is $400. Pro and Premier can accommodate 1 to 5 users. QB Enterprise can be thought of as a super-charged version of the desktop application. It is recommended for larger companies with 20 to 250 employees. It can handle many transactions and inventory items, can be used from multiple locations and can accommodate up to 30 users. It has industry-specific capabilities and reporting. There are add-ins for Advanced Reporting, Advanced Inventory, and Advanced Pricing. There are three subscription levels - silver, gold, and platinum. Pricing starts at $84 per month. 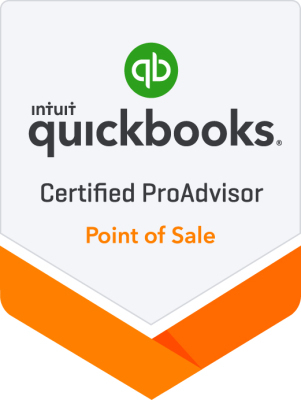 QuickBooks Point of Sale is a retail management solution that replaces your cash register and includes the software and hardware needed to operate one or multiple (up to 20) retail stores. It's capabilities include inventory management, customer management, product pricing, and payment processing. It synchronizes transactions with QB Desktop software. It is available in three levels - Basic, Pro, and Multi-Store. Pricing starts at $900 for a single location hardware and software solution. QuickBooks Online (QBO) resides online and is accessed through a web browser. This means it is available from anywhere by computer or smartphone. And the user never has to install an upgrade or worry about losing the company file. It works with online apps that provide streamlined workflows, including time-keeping for payroll and bill payment. You can authorize your accountant to access your company file, making it easier at reporting and tax time. 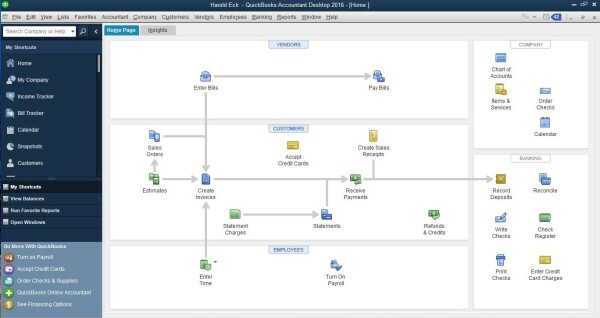 QBO features are limited when compared to the desktop application. It comes in four versions - Self-Employed, Simple Start, Essentials, and Plus. Pricing is by monthly subscription, and ranges from $10 to $40 per month. Payroll is extra and runs from $11 to $47 per month. QBO can accommodate 3 to 5 users, depending on the version. QuickBooks Payroll is available as a stand-alone service or it can be added as an additional service to all versions of QuickBooks accounting software for a monthly subscription rate. It comes in three levels - Basic (paychecks or direct deposit and calculation of payroll taxes), Enhanced (paychecks or direct deposit and payroll tax forms completed with electronic filing as an option), and Full Service (the user enters the timesheets and QB Payroll does the rest, including filing payroll tax returns and first-time setup). Pricing is by monthly subscription, and ranges from $11 to $57 per month as an addition to QuickBooks. Pricing for the stand-alone service ranges from $25 to $99 per month.